Hornsby Shire Council has some great news for the thousands of mountain bikers who love the trail in Old Mans Velley: it is going to stay open throughout the rehabilitation of Hornsby Quarry. “For a while it looked like we would have to shut it down, but now it will only need to close for a few months while it is altered,” Hornsby Shire Mayor Steve Russell said. “Council knows what that trail means to a lot of people, so we put considerable effort into finding a solution that would allow it to stay open. It is being redesigned by Synergy Trails, who are renowned for their sustainable trails and have already conducted some work on Hornsby’s trail. The length of the trail will remain the same, while a new trailhead will be opened in Hornsby Park. “It’s an outstanding result,” Sydney North Off Road Cycling president Campbell King said. 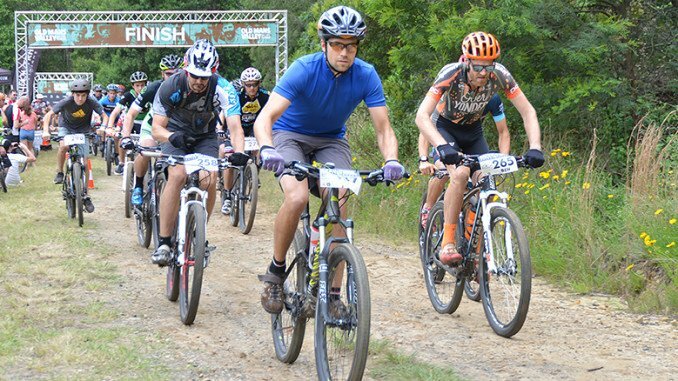 The new design will retain the variety of experience levels that is one of Hornsby Mountain Bike Trail’s best features. “It will still be possible for a child to ride the green loop the first time they climb onto a mountain bike, then work all the way up to the black trail as their skills develop,” Mayor Russell said. “Even more exciting for mountain bikers are the future possibilities once the quarry precinct is opened to the public. The work to alter Hornsby Mountain Bike Trail will begin in July and is expected to take around three months.